This year, the American retail giant Target acquired almost 69,000 Likes and over 1,100 comments for a single status update. It didn’t achieve this by offering anything of value to its followers, but rather by simply asking. The company was marking its 50th anniversary, and invited users to join in the celebrations by clicking ‘Like’ – people who did so didn’t get anything out of it, but they did contribute towards Target’s engagement data, which is fast becoming the primary motivator for posting content. 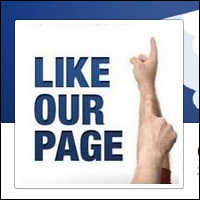 For any business with a Facebook page, the aim of the game is to acquire followers and have people ‘Like’ your content. However, as with anything, there are a number of ways to go about this. The current most popular method is seemingly to inundate your followers with rhetorical questions (with offenders including the ridiculous “Do you love your kids?”) and meaningless polls (which do you prefer, kittens or puppies?). This pattern can be interpreted as a more or less direct response to the increased visibility of Edgerank, Facebook’s algorithm which calculates engagement and determines what content appears where on your news feed. EdgerankChecker.com published a blog including a checklist direct from Facebook: essentially, content which receives a high volume of engagement, i.e. a large number of Likes, is more likely to appear higher in news feeds. Because of this, a great many organisations (and the social media firms working on their behalf) are now producing content for the sake of Edgerank rather than for their followers, in the same way that “black hat” SEO content focuses on keyword stuffing as opposed to being informative and reader-friendly. In a recent blog post entitled “A Plea: No More ‘Like If You’ Facebook Posts… Please”, social media advisor Jan Minihane outlined her main issue with this kind of pandering. While the intentions behind these “call to action” statuses may once have been entirely admirable, the net has become so saturated with these sickly sweet posts (which in turn are becoming more and more inane) that the unfortunate result is people are starting to see them for what they are; increasingly transparent attempts at fostering engagement, with little to no incentive on the user’s side to click ‘Like’. What the Condescending Corporate Brand Page don’t emphasise, however, is that by building engagement for the sake of Edgerank at the expense of genuinely interacting with your followers, you run the risk of being seen as spam. Edgerank weeds out content that is ignored or reported, meaning the more you flood your followers’ news feeds with pointless content, the more you decrease your page reach and ultimately devalue your brand.